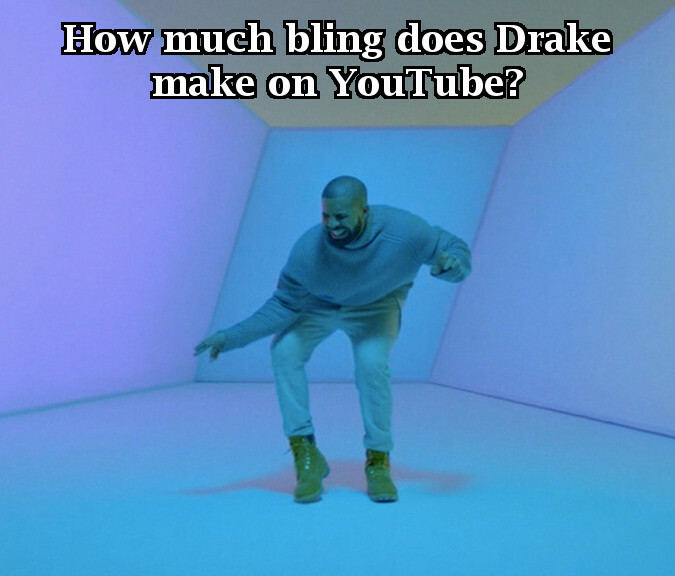 How Much Bling Does Drake Make? Drake has taken over the music world these past few years, and sometimes even the meme world with his Hot Line Bline and Yolo songs, but he has also taken over the world of YouTube. His Vevo YouTube Channel has earned him a total of over 2.5 BILLION total video views, which means that the total YouTube revenue is anywhere between $3 to $9 million USD. But while this seems like a lot for most people, this pales in comparison with his overall revenue streams from TV, Radio, as well as being the brand ambassador to the Toronto Raptors. Regardless, with over 2 billion views, he has one of the highest viewed YouTube Channel, and one of the most subscribed with over 2.5 million subscribers!